These are hotographs of Dr. C. F. and Flo Menninger and their sons, Karl, Edwin, and William Claire. The Menninger Clinic is a facility for mental-health treatment, education, research, and prevention. It was started as a group psychiatry practice in 1919 in Topeka, Kansas, by Dr. Charles F. Menninger and his two sons, Karl and William. Edwin followed his interests in horticulture. 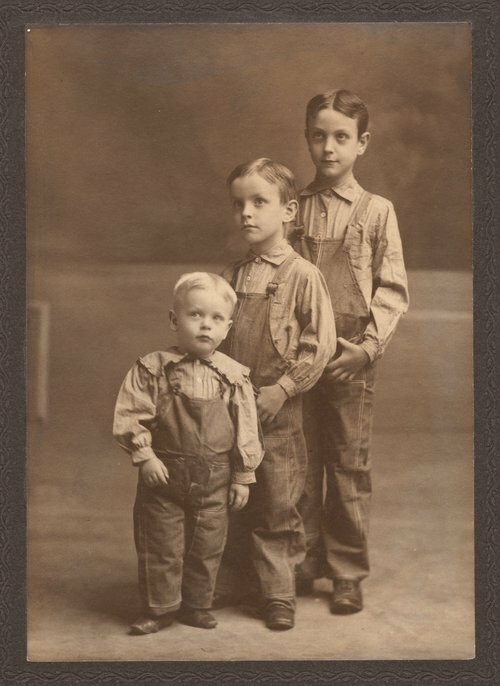 C. F. Menninger family - This family photograph shows Karl at age 7, Edwin at age 4 1/2 and William Claire at 18 months. It was taken about 1900.